Gentlemen, start your engines! Our Truck Rally is perfect for those who love the sound of big machines. 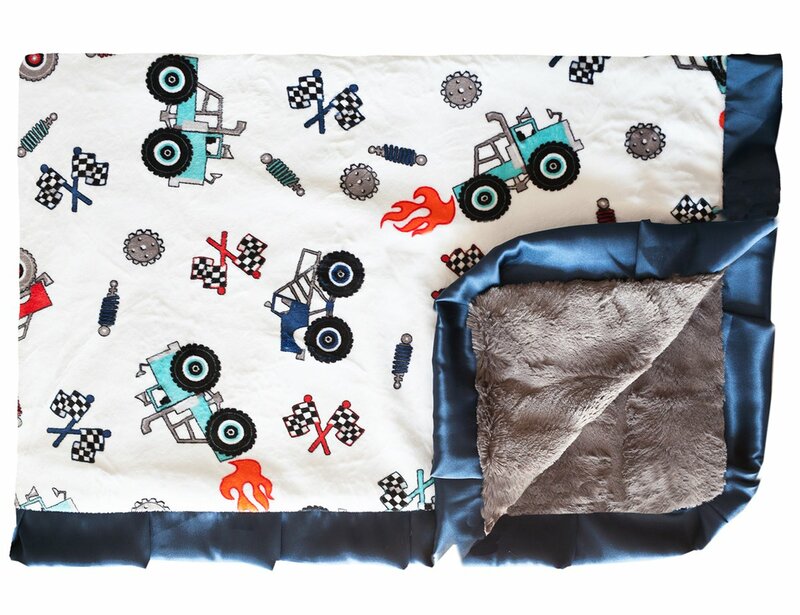 Bright colored 4X4 trucks, gears & checkered flags on a paper-white background. Charcoal colored minky on the back and a navy satin ruffle.